In the Judge Magney State Park, Minnesota, as the Brule river makes it way towards Lake Superior, something very unusual happens at the Devil’s Kettle Falls – The river splits into two streams, one of which moves away like a normal stream and joins the Lake Superior. But the other stream falls down several meters into a big dark hole. No one till date, has been able to find where the water falling into this hole ends up. Although no one has been able to prove it, the current theory which holds to some extent, says that the water flows through underground passageways and makes its way to the Lake Superior. What all has been tried? Several gallons of dye to track the water stream has been poured into the hole. The dye once poured in has been never seen again. Besides that, so many kinds of objects have been thrown in there. Nothing ever comes out. Moreover, with every tourist, geologist or scientist throwing something in there, it has still not got clogged yet. So, it is the best place to get free ping-pong balls and other objects. Some say that a car fell into the hole once and was never seen again. But those are probably just stories because the place isn’t big enough to accommodate a car. 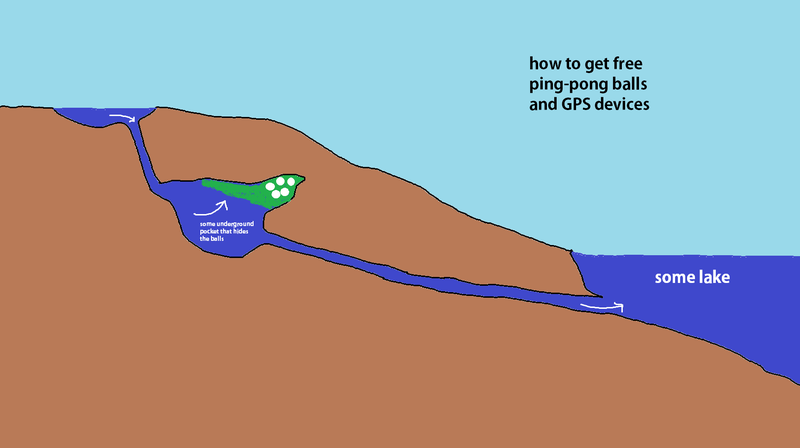 Throwing in GPS tracking devices also don’t work because the stream takes them underground where they can’t be tracked by the satellites. People can’t be dropped in because it is 240 meters deep and no one knows how far it keeps going. There is a lot of uncertainty to risk a human life. Water-proof cameras can’t be tied to ropes and sent down because the impacts break them. Moreover, the video stream would be impossible to receive if it goes too far and several rock layers come in between. But there is more. Unlike other parts of the world, where underground rivers are formed cutting through soft-rock deposits (e.g: limestone) underground, this part of Minnesota has no soft-rocks underground. So, even large underground caves can’t be used to explain the Devil’s Kettle. Scientists have even dismissed a theory that says probably lava tubes have been formed inside. Geologists say that the kind of rock that is there inside, can’t form lava tubes. What do you think is down there? Do you have any ideas to help figure it out?